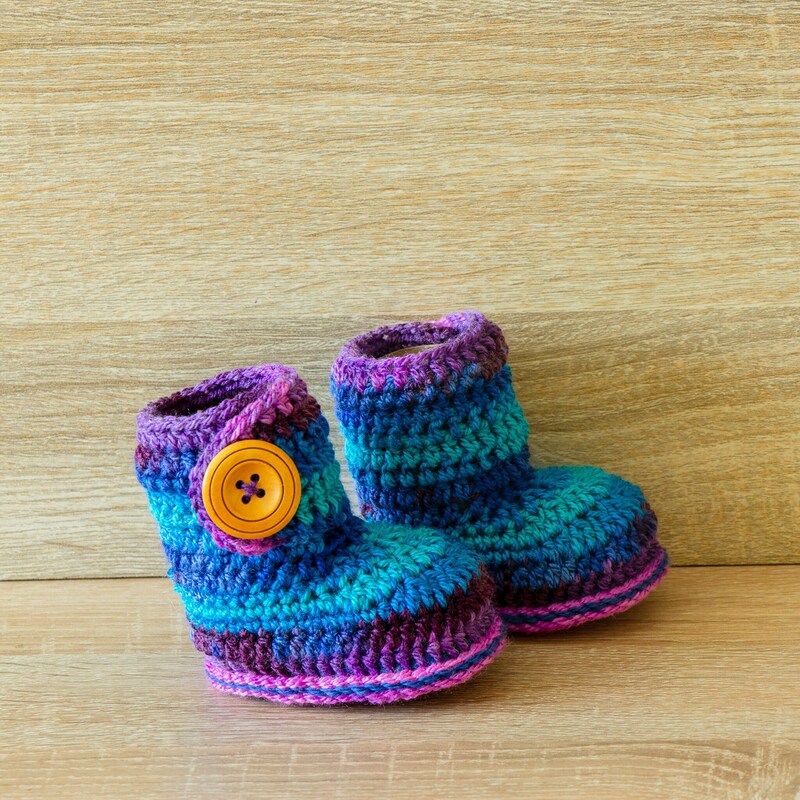 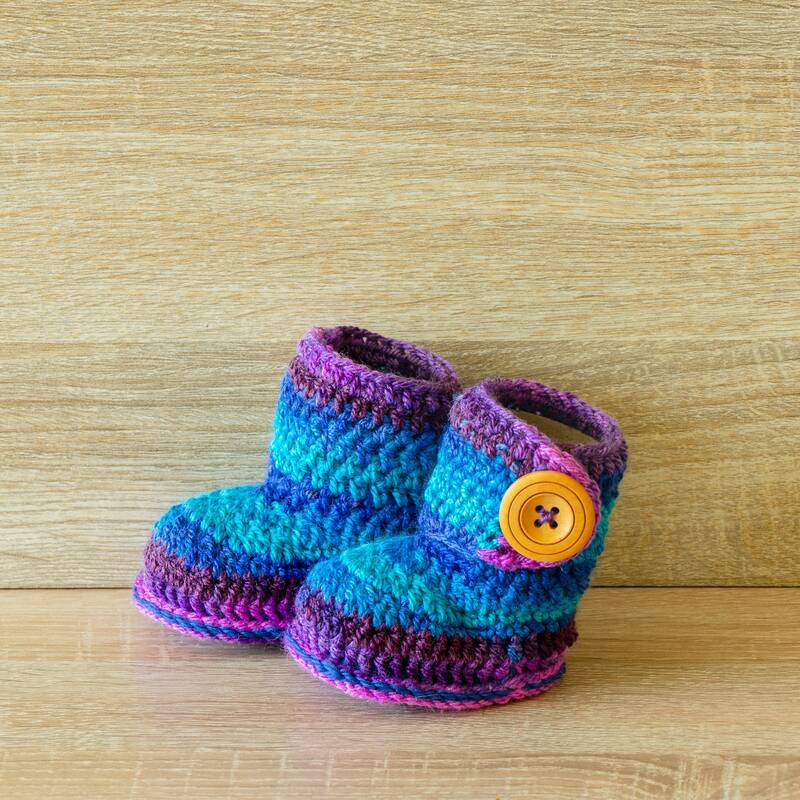 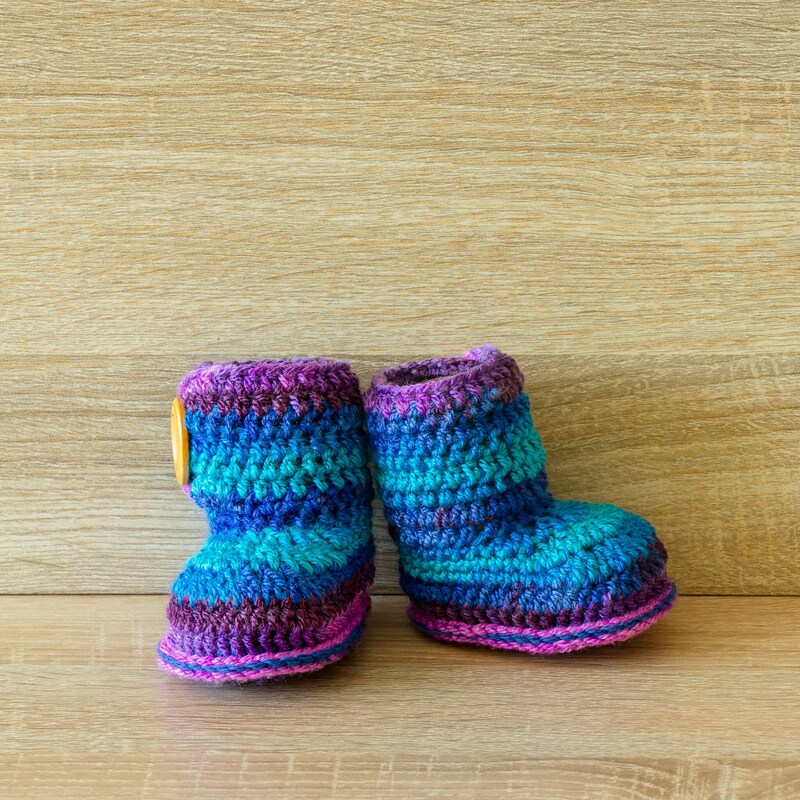 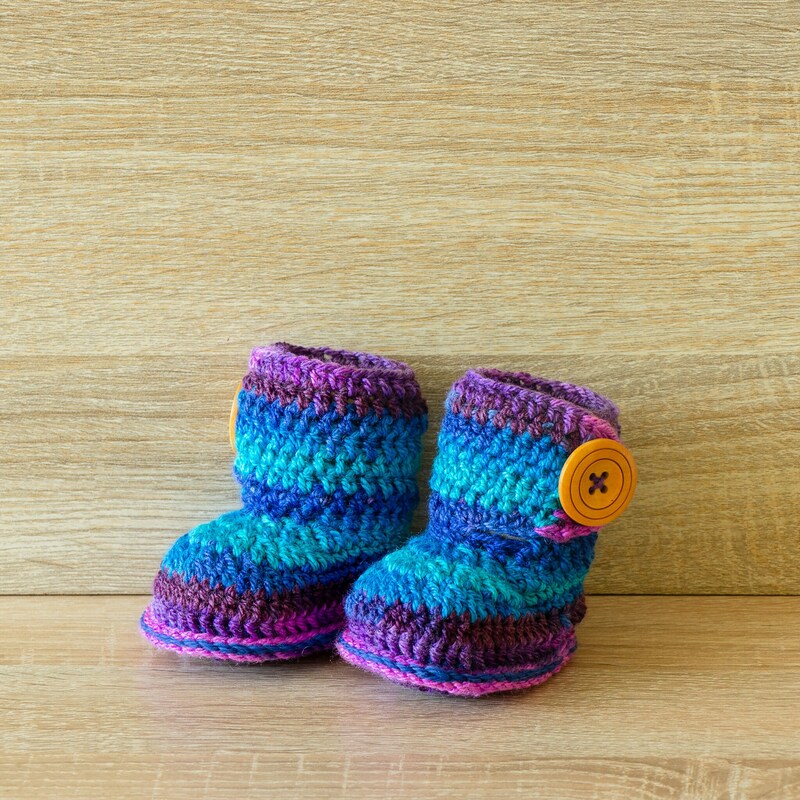 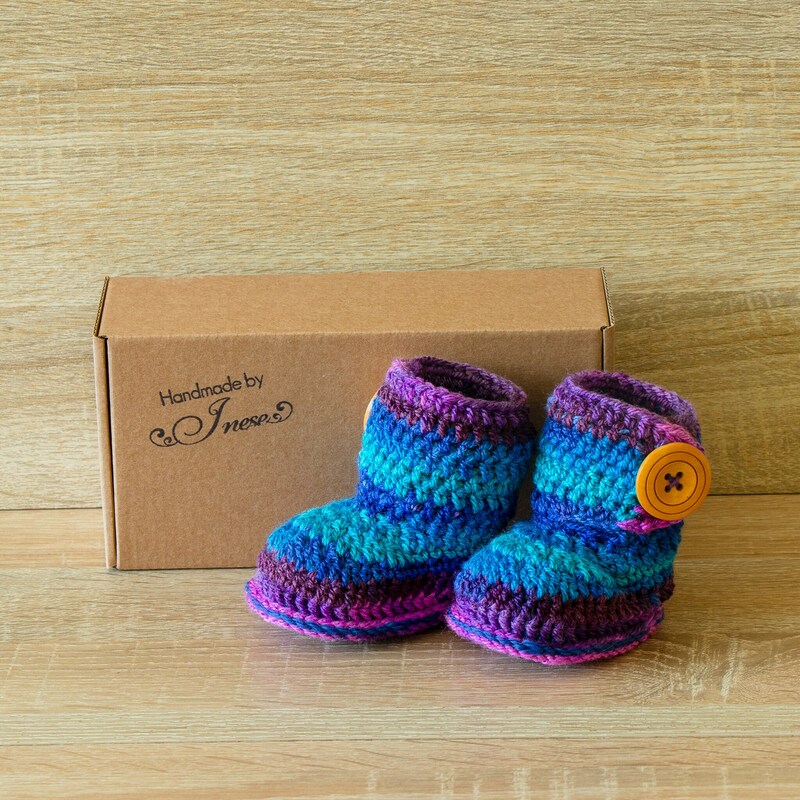 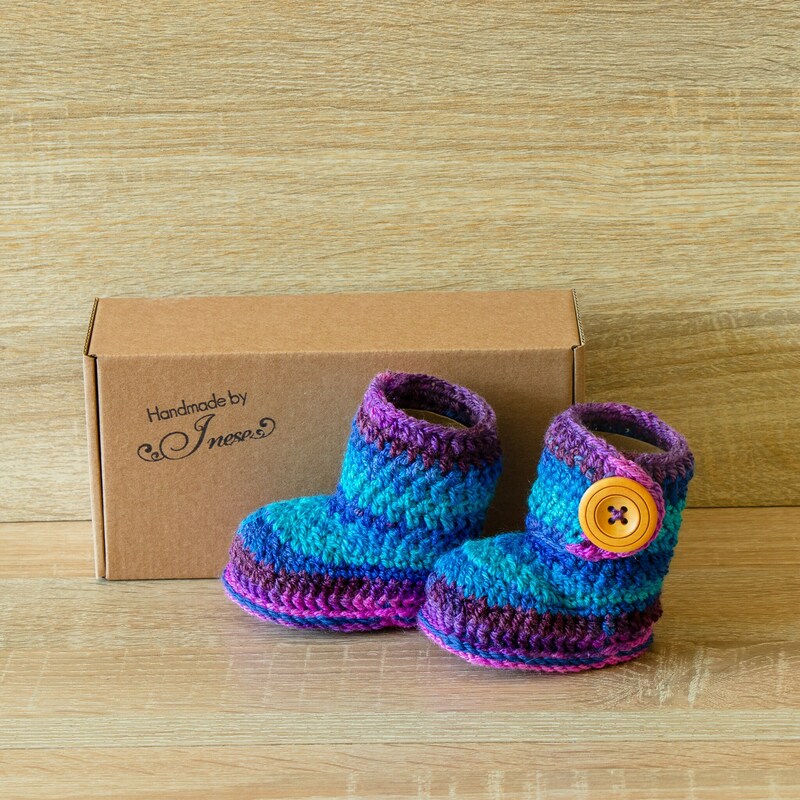 These crochet baby booties are very soft and comfortable. 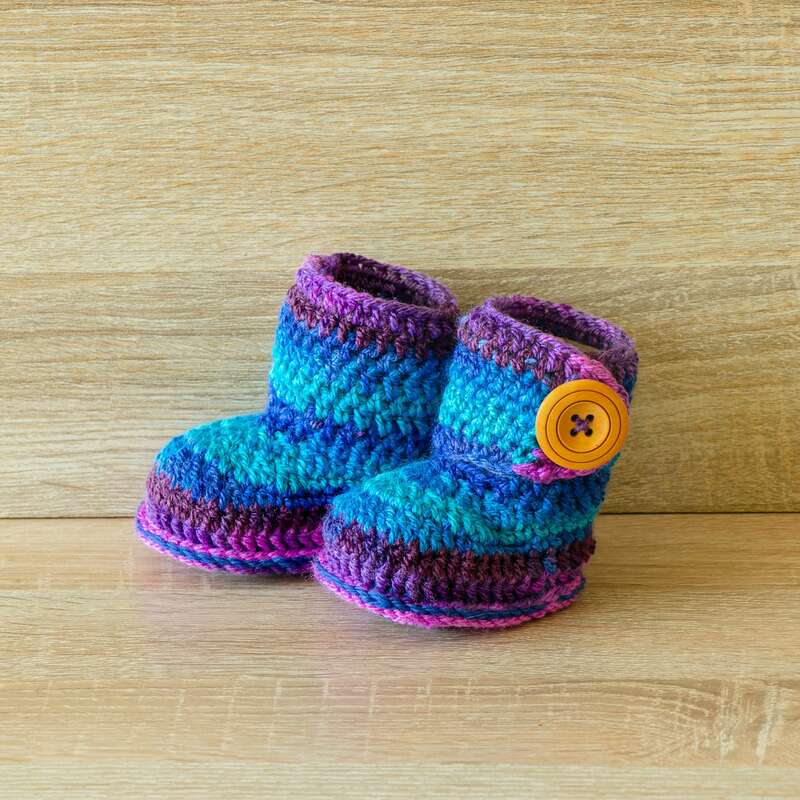 They make a unique gift for baby shower. 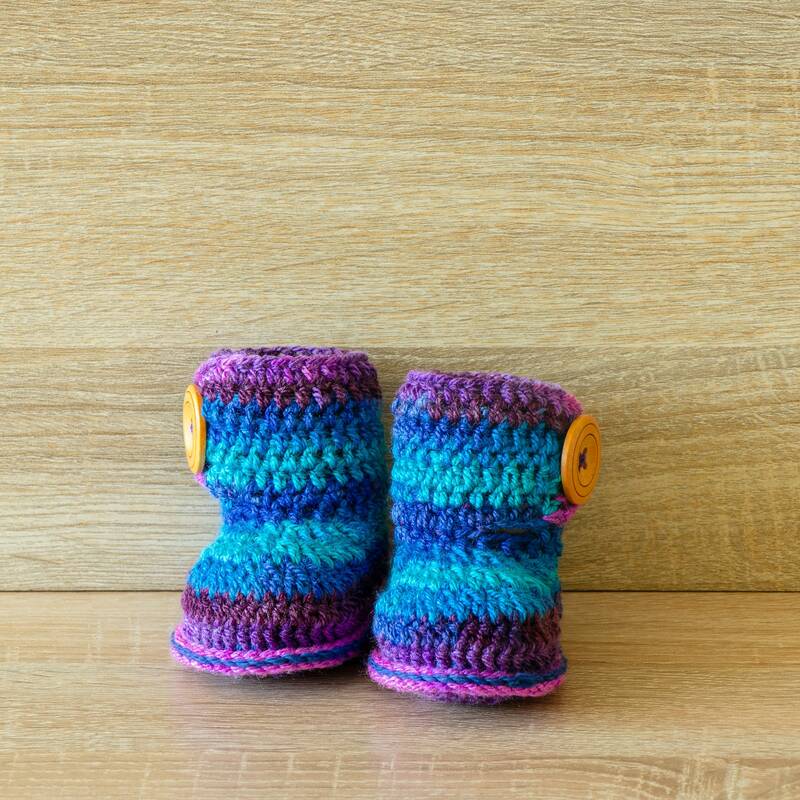 Sole length: 9 cm / 3.5"
These are absolutely gorgeous. 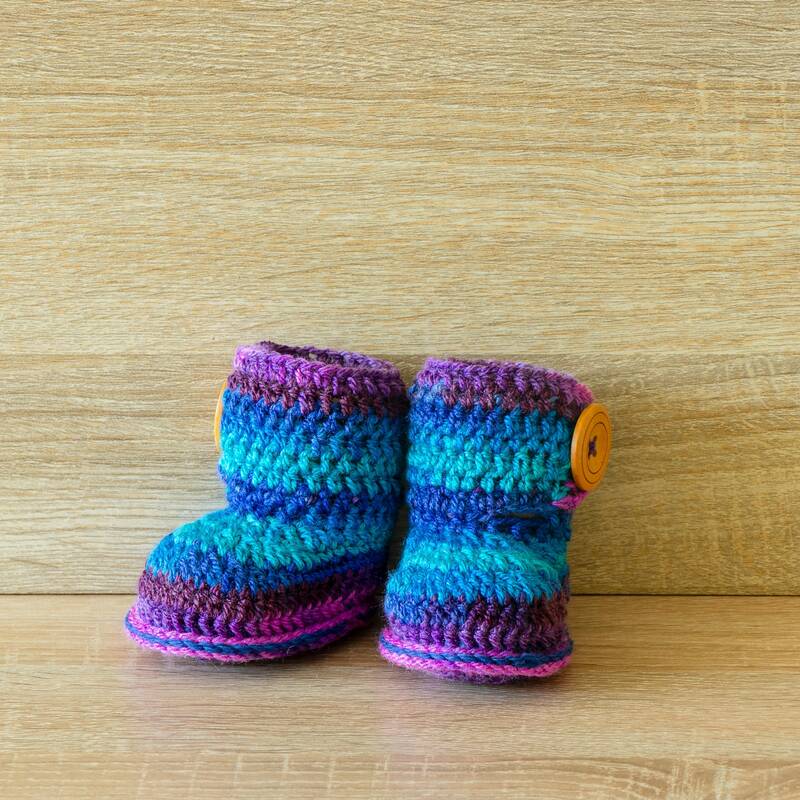 I bought them as a present but I suspect they will end up in my grandmother hope chest instead.